Should you protect your invention in 4 countries or 16 countries or 100 countries? If you ask your patent attorney, the typical advice is to just file patents across all international jurisdictions in which your products are made, used, or sold. On the face of it, the suggestion may look good. You have a product or a technology that may have a worldwide market and so worldwide protection seems valuable. But this is rudimentary thinking and may not maximize your limited patent budget. I have seen companies – big and small, doing a ton of due diligence before investing millions of dollars on a new product line, a new technology innovation, or on R&D. But surprisingly the same companies commit to a $1 million patent strategy without doing any due diligence. I wonder why companies spend so much money securing a patent in Saudi Arabia when your market was in the US and Europe alone. As a strategy owner of the company, you must ensure that capital-intensive patent filing exercise must show positive ROI over years. This is because companies often file foreign patents and grow their patent portfolios without a clear strategy resulting in bad investments and out of budget patent costs. You would understand the cost-effective process of filing international patents with these 5 steps. The first question that I would consider before filing a foreign patent is whether there is a strong business need? When I say a strong business need…..
Is that a market you want to protect? Do you see making money in that country? If you are unsure, I would prefer a strategy that delays the filing of foreign patents until the latest possible moment so that you can test your market meanwhile. The Patent Cooperation Treaty (PCT) allows preserving international rights for most jurisdictions to delay choosing specific ones for thirty months from your earliest priority date. This strategy gives you the longest possible time to evaluate the commercial prospects of your innovation before committing large funds to the foreign patent application process. Now, it makes sense to file for foreign patents if a market indeed has a strong enterprise value to protect in the next twenty years. Also, you have to consider your business model and see how it fits into your patent strategy. For example, we are seeing a huge explosion of innovation in AI and machine learning as of today. If your company is dealing with AI technology and your business model is a function of the population, then China and India would be the markets to file foreign patents. Europe would be the market to file foreign patents if your business model is a function of per capita income given that European countries are relatively affluent. Therefore, understanding your business goals and business model is very important to carefully craft a global patent portfolio strategy. Tip: Along with validating your business needs, one way to develop a foreign filing strategy is to conduct a worldwide patent search on the key foreign patents of your competitors. This will provide you with a list of baseline countries where patents are valued by your competitors and by your industry. What’s the point of spending $70,000 on filing a patent in Japan? It’s very difficult to get a patent in Japan’s patent office and extremely difficult to enforce that patent against a Japanese company. You should check the effective cost to file a patent in a particular country. The basic cost to file a patent per country can be anywhere between $25,000 and $70,000 (depending upon the country) over the 20 year life of patents. Which means a simple patent filed across 10 different countries would cost you at least $250,000 over the life cycle of patents. Complex patents can cost more. So understand the likely returns before committing large sums of money even if you are a company with deep pockets. A strategic way to do this would be to leverage your patent attorney’s (or your law firm’s) relationship with the local law firms of those countries where you plan to file a patent. Let me give you another example of how to optimize your patent budget by adapting the right strategy. Let’s compare a particular drug that has only three patents protecting it with a mobile phone that has thousands of patents on it. The value of one additional patent on that drug is much higher than one additional patent on the mobile phone because there are just three patents on the drug. Meaning, density of patents should be considered before you decide to file patents- foreign or domestic. If it’s a super dense thicket, each patent has a relatively smaller value. If it’s a sparse thicket, every single patent is worth a substantially more presuming the market value of each product is the same. For electronics and software technology, I wouldn’t recommend to file patents overseas because each has a smaller value. Similarly, IoT (Internet of Things) is another technology which has become a dense thicket. When IoT was just emerging a few years ago, it was a sparse thicket and so filing patents would have made sense then. Consider the latest hot technology Artificial Intelligence. According to World Intellectual Property Organization, 3054 patents on artificial intelligence which includes machine and deep learning were filed between 2007 and 2017. Of those patents 1030 were applied for in the United States, 674 in China, 467 in Korea, and the remainder in other countries. In each of those countries, patents were filed both by domestic companies as well as foreign companies seeking protection in those markets. When it comes to deep learning, an advanced subset of machine learning, Chinese companies hold hundreds of patents in China. From a sparse patent thicket, machine and deep learning are slowly moving towards a dense patent thicket in US, China, and other countries. 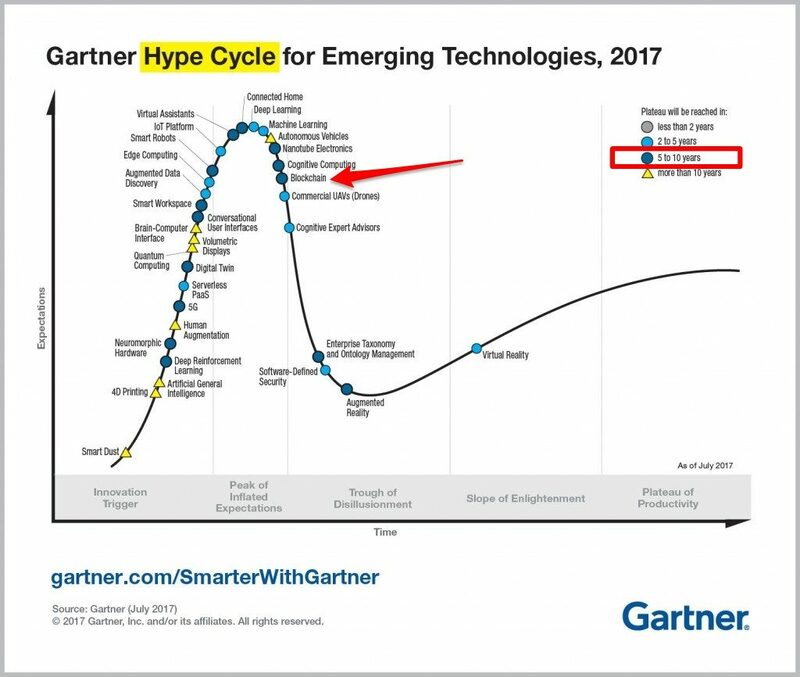 Take a look at the Gartner Hype Cycle for Emerging Technologies below. Anything that is high in the hype cycle is moving towards the dense thicket. 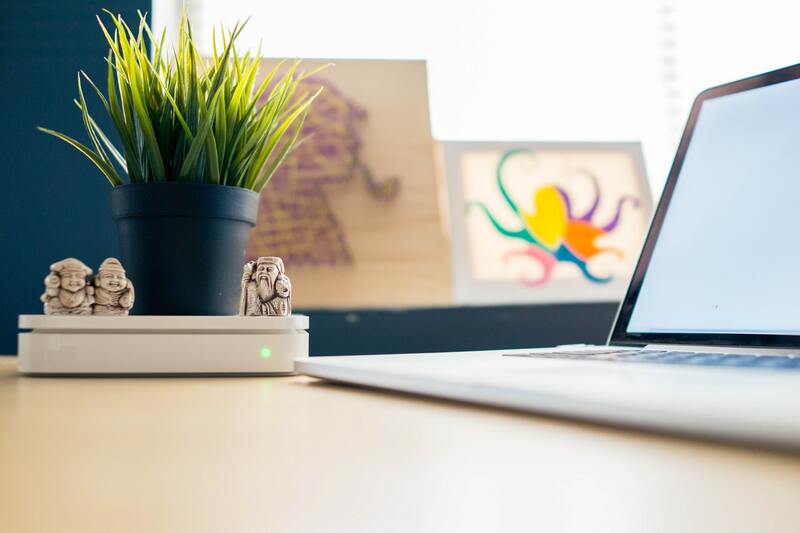 As such, if you were an enterprise or an inventor innovating with deep learning, machine learning, or connected home technology (IoT), for example, proceed cautiously with filing foreign patents in these areas so as to utilize your patent budget effectively. One approach that can help you in identifying which countries to file patents in and which ones to avoid is the two-thirds market filing strategy. In other words, you should file in a limited number of jurisdictions that cover the most lucrative percentage of the market. For example, if your business model is a function of population and if two-thirds of your market is in United States, China, India, Indonesia, and Europe alone, then your patent application pursued in these jurisdictions would capture the majority of worldwide revenue. While the costs for filing patents in these countries might be higher vis-a-vis United States, it still would be less expensive than trying to file patents in a larger amount countries across the world for a small fraction of the market. From a cost-benefit point of view, you might miss out on only one-third of the market but have protection in the remaining two-thirds of the key market. The remainder of the market would be too costly to protect and likely include jurisdictions where enforcing your patent wouldn’t make sense anyway. Importantly, from the economies of scale perspective, you have an enormous competitive advantage as your exclusive geography of patent protection in the key two-thirds market deters your competitors from even entering the unprotected one-third market. That’s because once you take away the major 67% of the market, it is very difficult for your competitors to gear up for the remaining 33% of the market as they no longer have the economies of scale advantage. The remaining market is small, scattered and difficult to capitalize on. I know of company which was ready to commit about $5,000 – $10,000 to file in every possible country (some 177 countries participate in the Paris Convention) to incur a seven figure amount just to begin pursuit of one idea worldwide. Upon applying the two third market filing strategy it made sense to file patents in only 4 countries, bringing down the total cost of filing to a low five figure amount. Therefore, the key is to place the bets on the right countries that cover the most lucrative percentage of the market for your product/technology. What is common among companies such as Mastercard, Paypal, WebMD, Blackboard, 23andMe, LinkedIn, Spotify? They are all disruptors driven by innovative software and business method models in Fin Tech, Health Tech, Ed Tech, and other areas. Software includes applications, programs or underlying algorithms and processes that run on computers or mobile phones. Business methods are processes of doing traditionally human performed tasks using little or no substantial technology. More often than not for companies in the Fin Tech, Health Tech, and Ed Tech areas, the foreign patent you want to file is related to either software or business methods. Software and business methods patents face significant patent eligibility challenges both in US and most foreign countries. In fact, some places like New Zealand, India and Europe are known to be unfriendly jurisdictions for software and/or business methods patents. Europe, in particular, is very difficult for software and business methods patents as the onus is upon the patent applicant to prove that the invention actually makes a contribution in a technical field by solving a technical problem. New Zealand just prohibits software patents altogether. Most countries have their own set of requirements when it comes to software related inventions and business methods. Japan, for example, allows business methods to be patented so long as they include technical features in the claims. In Australia, software inventions are patentable provided that a mode or manner of achieving an end result using technology is claimed. In South Korea, software related inventions are considered patentable provided the software is combined with a hardware such as a computer. And pure business methods are not considered patentable unless combined with the technical layer. Point being, while your business goals and budget might encourage securing patent rights in a number of foreign jurisdictions, you need to estimate the likelihood of patentability for your inventions particularly the ones involving software and business methods. Tip: Have your patent counsel consult with a foreign associate in each jurisdiction before wasting a filing so that they can opine on your particular patent claims. A good foreign associate will give you the right advice prior to filing without charge. In 2011, Google acquired Motorola for a whopping $12.5 billion dollars. People thought that the acquisition happened because Google wanted to compete in the handset space by acquiring the market leader. But there was more to that strategy. As this Forbes article “How Google Used Motorola to smack down Samsung” says, Google acquired Motorola so that it could leverage Motorola’s 20,000 mobile patents to stop Samsung from promoting its proprietary OS at the cost of Android. Some believe it was all about patents. Similarly, Apple picked up three European patents and seven PCT applications with its purchase of an augmented reality startup “Metaio” in the year 2015 and the acquisition could help Apple bolster its virtual reality and augmented reality efforts. Whether you are a company or a startup, understanding your business goals is key to developing a robust foreign patent strategy. Is your goal to use your international patent portfolio to get acquired? Are you looking to enforce your patent rights against your competition? Is your goal to use your patent portfolio to defend yourself? Is your goal to use your patents to gain exclusive market access? Are you looking to use your patents in cross licensing and partnerships? Is your monetization plan just to license your patent portfolio? For example, if your goal is to use your overseas patents to get acquired then you need to have a foreign patent strategy that is likely to match the strategy of whoever is trying to acquire you. But, how do you know who is going to acquire you? 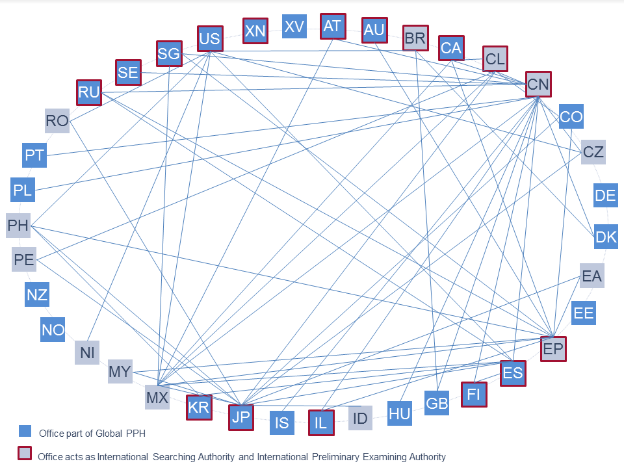 One way to understand the typical foreign patent footprint is to do a landscape study and zero in on candidate companies. These companies could be your competitors or the ones that want to expand their business into your space. Understanding what these potential acquirers are doing with their own patent portfolio so you file patents accordingly in those foreign jurisdictions to avoid missing something that would stand in the way of getting acquired. You can directly file your patent in almost any country on earth. But a more prudent approach would be to delay the substantial cost of foreign filings while you test your innovation in the market. It would be nice to delay forever but most foreign countries adhere to an absolute novelty standard which means you must secure a priority date by filing your patent before any release or disclosing of your innovation. There are several strategies and treaties that allow the filing of foreign national applications to be delayed. For example, there are 177 countries which have adopted the Paris Convention that allows use of your filing date in signatory countries if done within one year. A subset of 152 countries have also adopted the Patent Cooperation Treaty (PCT) that allows for centralized review of your patent application to delay foreign filing for around 2.5 years from your earliest filing. These programs can delay foreign filing for 12-30 months from your US filing with the PCT route giving some feedback on your prospects of receiving patent rights. Almost no one does direct filings except for the few countries that might not be in the Paris Convention such as Taiwan and Burma. Most companies file a US patent followed by a PCT application within 12 months to comply with the Paris Convention. That gives another 18 months for the PCT phase to delay nationalization decisions for 30 months from the original US filing. The delay afforded by this strategy provides time to validate the market potential of your patent idea (innovation). Some companies forgo the US filing and start with a PCT filing and circle back to the US filing within 30 months. This is probably the least expensive foreign portfolio strategy but delays the allowance of your US patent which may be the most important market to have a patent. One good advantage to the PCT filing is that if the patent examination finds no troubling issues, you can accelerate national filings in many countries to cut delays as your application moves to front of the line. 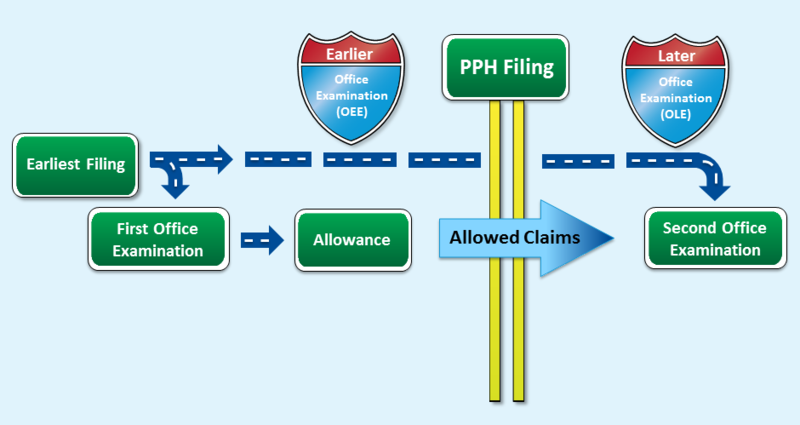 The Patent Prosecution Highway (PPH) is one such program that recognizes the hard work done in the PCT phase by speeding up the examination process to reduce the workload in each country. Your patent attorney should be able to tailor the possible options to match your portfolio strategy, timing and budgets. Although daunting, a foreign patent strategy makes strong sense so long as it aligns with your strategic direction without breaking the bank in that pursuit. Tom Franklin is a thought leader in the development of innovation capture programs and other intellectual capital management. He practices as patent prosecution partner at a top firm with two decades of experience in the patent area.